Investigators from the Food and Drug Administration say they've found the source of the toxic bacteria that contaminated romaine lettuce last spring and made hundreds of people sick. Now farmers in Yuma, Ariz., where the contamination happened, are trying to figure out how to stop this from happening again. Dan Charles from NPR's Planet Money podcast reports. DAN CHARLES, BYLINE: It started in late March. Here and there, across the country, people were checking themselves into hospitals infected with a bad kind of E. coli bacteria. It's a bug that people usually pick up from food. Louise Fraser, in New Jersey, was sure she knew which food. It must have been that fish fry. LOUISE FRASER: I was eating fried clams. I was eating pierogies. I was eating French fries. And then I topped it off by going to our local ice cream store and having ice cream. I'm thinking that's what made me sick. CHARLES: But no, it was romaine lettuce. That was the one food that the people who got sick all ate. Two hundred people got sick in this outbreak. Five people died. And consumers across the country stopped buying romaine lettuce. Investigators from the FDA have been trying to trace the lettuce that Louise and all those other people ate - track it all the way back to the source, maybe a particular farm or a factory. But Stephen Ostroff, the FDA official in charge of food safety, says they discovered it came through different processing plants. It grew on several different farms, which is really frustrating. STEPHEN OSTROFF: Because it makes our job infinitely more difficult in terms of trying to explain what happened here. 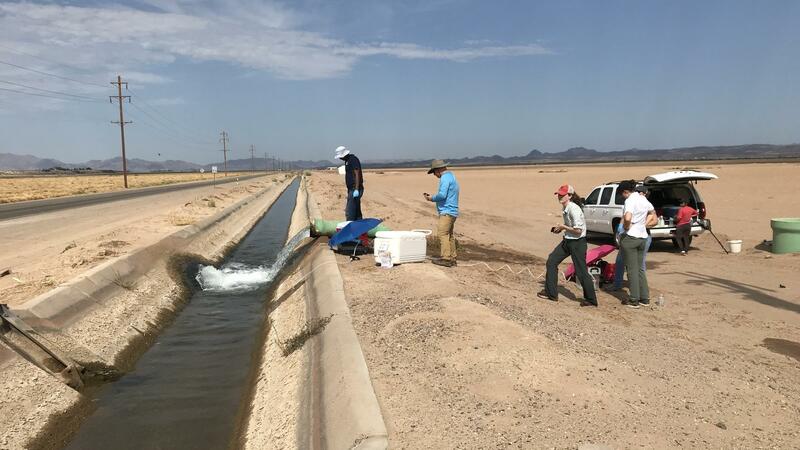 CHARLES: They did narrow it down to one region, a valley near Yuma, Ariz., right next to the Mexican border, where farmers like Steve Alameda grow huge quantities of fresh vegetables. STEVE ALAMEDA: It is a giant salad factory is what it is. CHARLES: He's talking about the whole valley, 50 miles long. There are wide fields all around us here, mostly bare dirt baking in the heat. But when the weather turns cooler in a few months, the farms all around here will be green with lettuce - hopefully. ALAMEDA: We've built this thing up to supply 90 percent of the product for the country in the winter. CHARLES: A few weeks ago, investigators announced a break in the case. They found E. coli that exactly matched the genetic strain that had made people sick. It turned up in a canal that carries water to lots of different vegetable farms across this valley. I went out there to look at it. This canal runs past a cattle feedlot, a huge one. A hundred thousand cows are standing there on bare ground, clustered around long troughs filled with hay and corn. E. coli bacteria live in cattle. And the FDA thinks E. coli in cow manure washed into this irrigation ditch - or blew in - and water carried those bacteria into vegetable fields. This feedlot's been here for decades. But now that it's apparently made people sick, lettuce growers are in a bind. They have to convince supermarkets and restaurants that it will not happen again. ALAMEDA: Make no mistake about it, we sell this as a healthy product that's safe. And when people lose confidence in that, we don't have anything. CHARLES: There are still so many questions, Steve Alameda says. Why did this just affect romaine and not the other vegetables? Why did it just happen last spring? But he says, they will have to do something different. 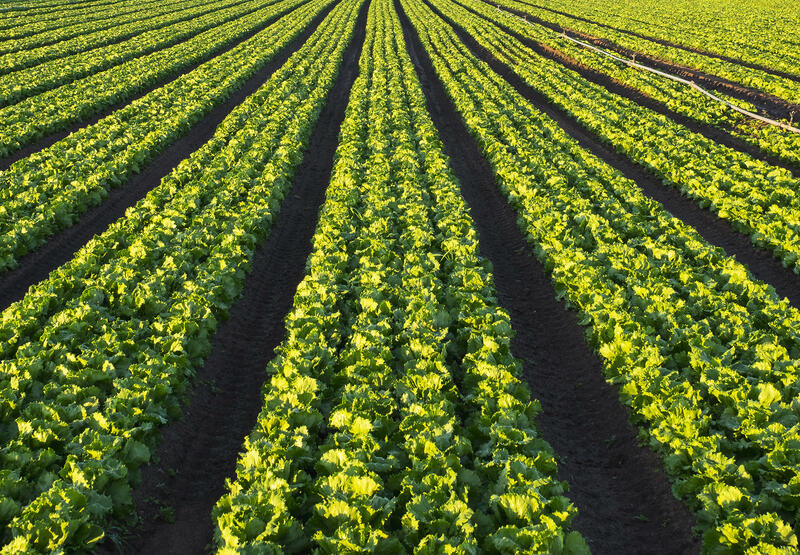 They'll make sure lettuce fields are farther away from the cattle, maybe start treating their irrigation water with chlorine to kill the bacteria, like drinking water. Some lettuce farmers are even talking about banding together to buy that feedlot to shut it down. Maybe this valley just ain't big enough for both of them. (SOUNDBITE OF MESSAGE TO BEARS' "HIDDEN BENEATH") Transcript provided by NPR, Copyright NPR.